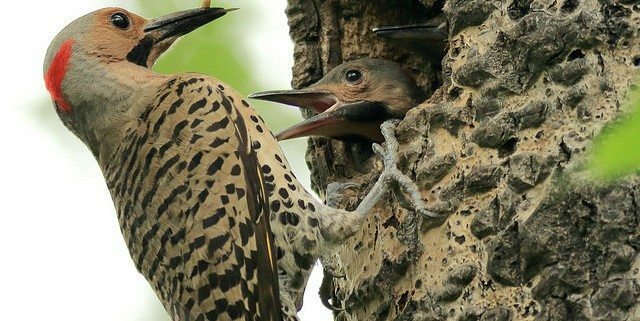 There are over 200 species of breeding birds in Canada’s boreal forest. There are about 20 species of trees. Buffleheads are rather picky. They really only nest in one of these trees – the balsam poplar. Why? 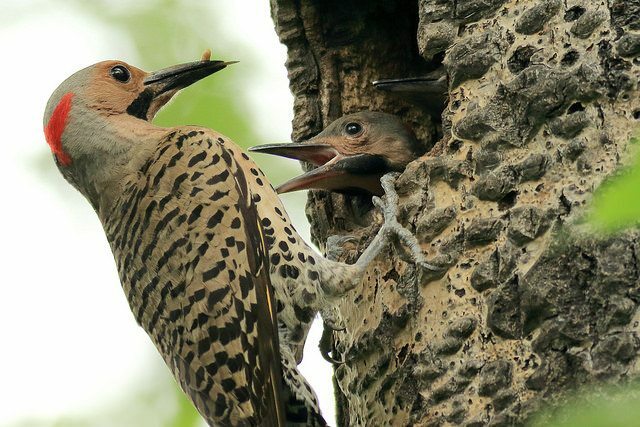 1) Because another species of bird, the northern flicker, also likes to nest in poplars. 2) Because poplars grow close to water. The major stand types in the boreal forest are white spruce and trembling aspen or black spruce and lodgepole pine. In river valleys and around small, low-lying lakes you will find another type of mixed stand: white spruce and balsam poplar. Here you will find flickers and, when close to small ponds, Buffleheads. As the climate continues to change as a result of human actions and industries, these forest stands are expected to change and ‘migrate’ northward. 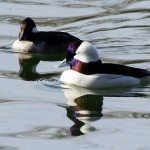 Will Buffleheads and flickers be able to too? This animated map by the Audubon Society show show scientists predict bufflehead habitat will change between 2000 and 2080.